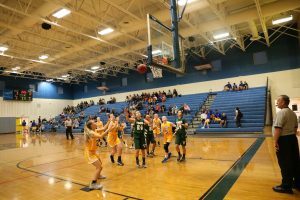 The Pine View Middle Schools Girls basketball team dominated Venice Wednesday night securing a spot in the playoffs. At the playoffs, the Lady Pythons will play McIntosh Monday night in the semifinals. Pine View started the regular season finale with suffocating defense but struggled to convert opportunities into points. However, once they got their offense churning, their consistently strong defense allowed them to keep a comfortable lead for the rest of the game. 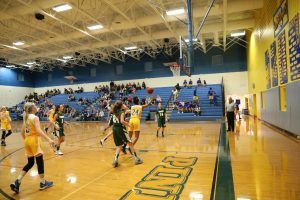 Stealing passes and scoring consistently in the paint, eighth-grader Ashley Reynolds, who scored six points in under a minute during the first quarter, allowed Pine View to establish a lead they would maintain for the rest of the game. “[The game] was really intense because it was our last of the season other than the playoffs, and I really enjoyed it,” Reynolds said. The second quarter of the game was uneventful, as Pine View continued to score points, and stay in the lead. Venice began to gain ground mid-quarter, but Pine View rebounded with strong passes, shots and free throws in an offensive flourish that put the game out of reach. 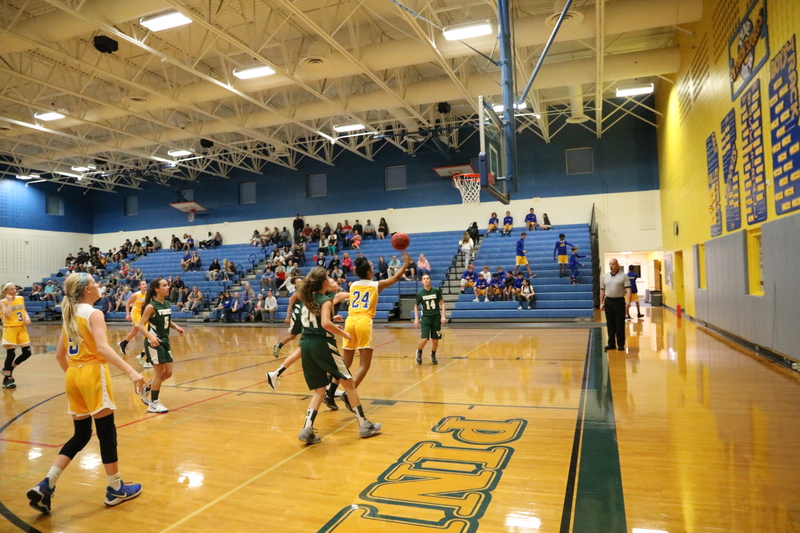 The Lady Pythons solidified their win throughout the third and fourth quarters, with confidence and team spirit. The final score was 33-13; the semifinal match-up versus McIntosh will be held on Monday, Jan. 28 at McIntosh Middle School. Photos taken by ninth-grader Clyde Morgan.